Aglaia cordata Hiern in Hook.f. Aglaia palembanica var. borneensis Miq. ex Koord. Aglaia ramuensis Harms in K.Schum. 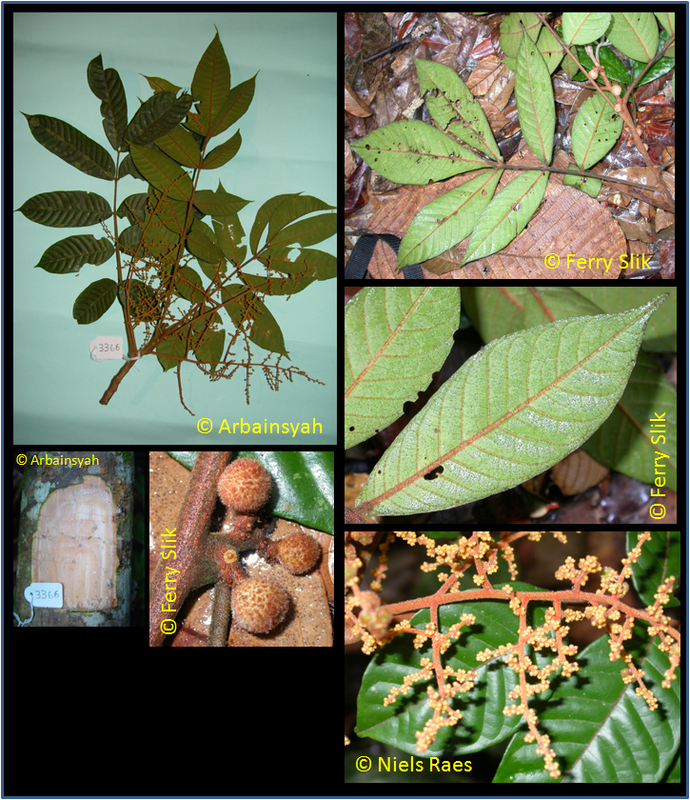 Found in evergreen forest, primary forest, secondary forest, riverine forest, montane forest, ridge forest; sometimes periodically inundated; on sandstone, alluvial, granite, limestone, sand, loam, laterite, clay; sealevel to 2000 m altitude. Fruit eaten by monkeys. The aril around the seeds is edible but lacks flavour. The wood is used in construction, but is not very durable if exposed. From India and Indo-China to Australia. Borneo: Bunau, Kumpang penjaru, Lantupak, Sampak tupai, Segera, Umpong. Malaysia: medang bebulu, redan (Peninsular). Philippines: karamiras, bayanti (Tagalog), mata-mata (Sulu).